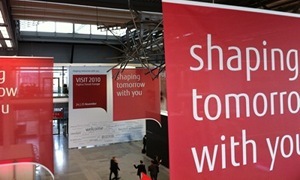 More than 8.000 visitors from 64 different countries came to Munic for this year’s Fujitsu VISIT 2010. As in previous years, I had the privilege of working as a host alongside my collegue Verena Wriedt and the great team from Head of Event. The presentations this year were focused on “Cloud Computing” and Fujitsu showed the manifold possibilites for saving time, money and most of all energy, because “Green IT” is and will be an important topic in the IT industry. 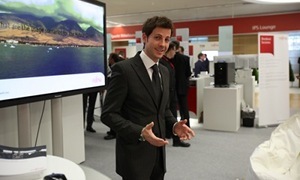 More Informationen and photo impressionens can be found on the Fujitsu website.